I was recently banned from a forum I frequently frequent for a matter I’d rather not discuss in detail (suffice to say playing devil’s advocate on matters of morality can be quite dangerous). After looking through a handful of other gaming forums and being disappointed because the big ones are full of stupid people and the good ones have new posts at a rate of one every three days, I found myself on eBay. It had been months since I’d won any auctions and years since my brief and costly bidding war addiction. After randomly skimming through pages of games I found the links to my saved sellers. This was a mistake because it led me to yamatoku, purveyor of extremely cheap Japanese retro games. Winning six of his auctions in two weeks and reading through hundreds of listings, I was struck with how many Japanese titles I have never even heard of. Death Bringer, Gdleen, Regret of Wind, Soldnerschild, and Dark Kingdom. 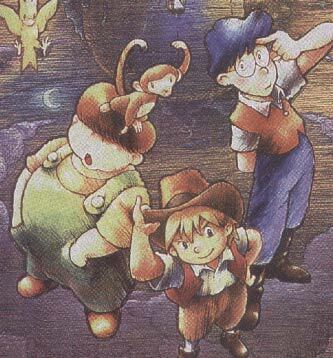 Some of these new-to-me games are on the Saturn, DC and PS1, but there exists a rich, unmined deposit of obscure Super Famicom and PC Engine titles I would love to see make their way to the West on the Virtual Console. It is possible most of these niche titles are crap and not even worth dumping, untranslated, to an online download service, but the volume of games left in Japan is a strong indication we missed out on some good stuff. Nintendo is doing such a half assed job of bringing over once Japan-only titles that it’s unclear why they even bothered with the idea. It’s possible Sin and Punishment alone validated the concept of releasing foreign titles on the VC but it stands on the backs of uninteresting titles like Ninja JaJaMaru-kun and Bio Miracle Bokutte Upa (though those may be exactly the type of niche games we should be getting). How much would it cost them to let us pay for games they already released on the robust Japanese VC? Accepting that Nintendo will never solve any problem other than “how can Nintendo make more money?”, we may have to look to others. Is the idea of a small, professional company that releases these old games online entirely in the realm of unicorn riding pixies? 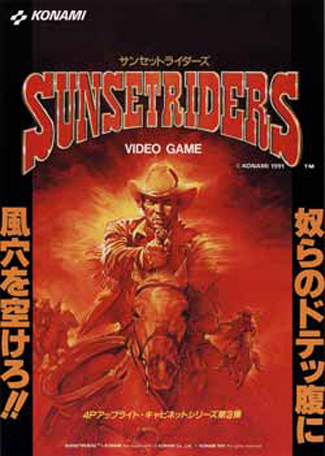 Second Shot Games (which I just created by typing those words) could buy the rights to all of the old games no Japanese company wants to touch and no American gamer has heard of. Then SSG could get their crack team of translators to do a quick, dirty, half-assed translation – a good translation of a Super Famicom RPG would be anachronistic – and sell the game online, in English, available to the West for the first time ever. Forget a professional company, hell, some super team of internet nerd translator teams could form a company we will call Second Shot Games and figure out a way to release the stuff they’ve translated that’s a little less grey than releasing hacked ROMs. So much of the work has already been done by volunteers, distribution becomes easier by the day for indie groups and so all that really stands between translation and hacking teams and them selling me old games is the original license holder. Since it seems any company forming to fulfill the needs of a handful of obsessed gamers is all a far fetched dream, I will just sate my lust for obscure games by buying them off eBay at an alarming pace. I can’t read a word of them, but maybe it’s their exotic nature that makes them so attractive. Or maybe it’s how I keep winning games for $4 a piece and yamatoku charges a measly $3.80 to ship a game from around the world. I can’t afford not to buy them! I wonder though – is it as simple as just “buying the rights?” I’m flakey on all this myself, but if you wanted to bring, say, a Super Famicom game to this service, you’d need to get the rights to the game, and recode it for another platform (since Nintendo won’t let you put their console version anywhere else)? Also, I think you’re right about how the fan community would have to be involved. You’re right that those old games don’t need anything more than a half assed translation, but tell that to the Japanophiles who’d be the buying market. Unfortunately, there seems to be no good way for gamers to convince any company that they are willing to support the localization of a game unless they’re specifically asked (Capcom likes to do this to gauge the viability of projects). Instead you have to roll the dice and hope the Japanese executives determine that yes, foreigners might like this. I was reading a car magazine discussing the release of the Nissan Cube globally, and there was a quote from an exec saying “we never thought anyone outside of Japan would like this!” And they were very, very wrong (and still very, very clueless).